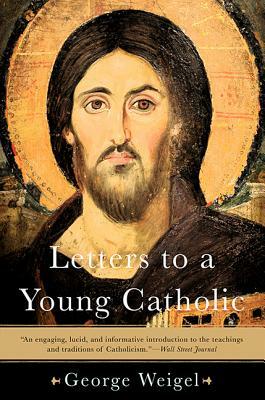 In this remarkable exploration of the Catholic world, prominent Catholic author and papal biographer George Weigel offers a luminous collection of letters to young Catholics, not-so-young Catholics, and curious souls who wonder what it means to be Catholic today. Weigel takes readers on an epistolary tour of Catholic landmarks -- from Chartres Cathedral to St. Mary's Church in Greenville, South Carolina; from the Holy Sepulcher in Jerusalem to G.K. Chesterton's favorite pub in Oxford; and from the grave of a modern martyr in Warsaw to the Sistine Chapel. Weaving together insights from history, literature, theology, and music, Weigel illuminates the beliefs that give Catholicism its distinctive texture and explores the theological importance of grace, prayer, vocation, sin and forgiveness, suffering, and -- most importantly -- love. Letters to a Young Catholic will inspire not only the young generation of Catholics whose World Youth Day celebrations have launched an era of renewal for the Church, but also the faithful, the doubtful, and the searchers of every age. George Weigel is distinguished senior fellow of Washington's Ethics and Public Policy Center and one of America's leading public intellectuals. The first volume of his biography of Pope John Paul II, Witness to Hope, was a New York Times bestseller, and his writing appears regularly in a variety of publications, including the Wall Street Journal. He lives in North Bethesda, Maryland.